Men that separate the wheat from the chaff. The term can be explained in multiple fashions, but I’ll stick with the original meaning. 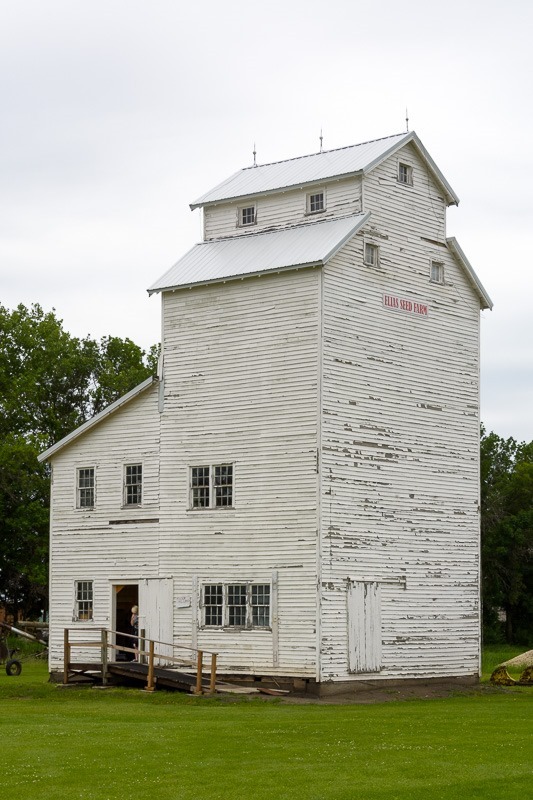 Manitoba has a big history in grain and processing grain. 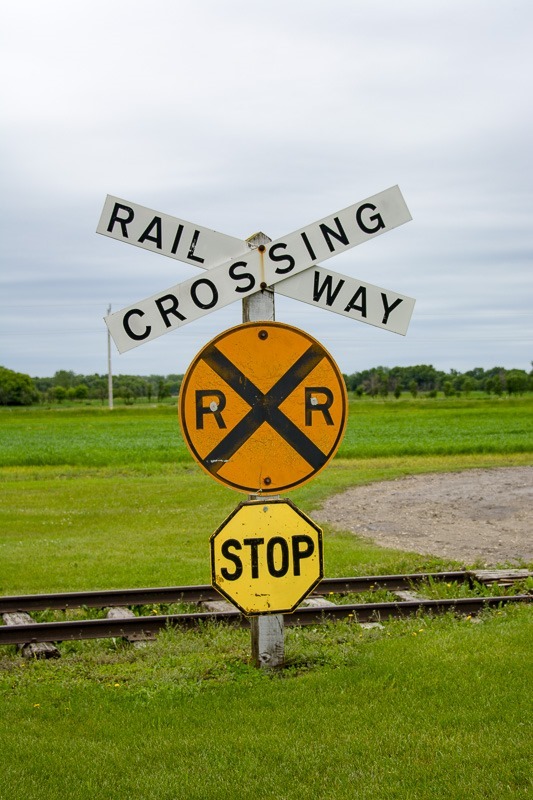 Many towns have sprouted in the middle of nowhere to begin growing and processing grain. Unless you put the artefacts in a museum. Museums have come a long way since I was a kid. Back then, a museum was a stuffy place, full of dusty old things you had no idea what they were about. Also, the explanations left to be desired and, unless you had followed a history course in school, there was no way of understanding the cryptic signs. At least that’s what it looked like at the time. So a few days ago I went to the Threshermen’s Museum in Winkler, close to the US border in Manitoba. At first I thought it would become a repeat operation from the museums in my childhood. Lots of stuff accompanied by signs saying “Please do not touch…”. But then, I started to look around, seeing that the museum was not a single building with rooms, but multiple buildings on a large terrain. The lead photo of this post shows that even the buildings are artefacts here. This grain mill was in operation until only a few decades ago. Inside, some strange objects. 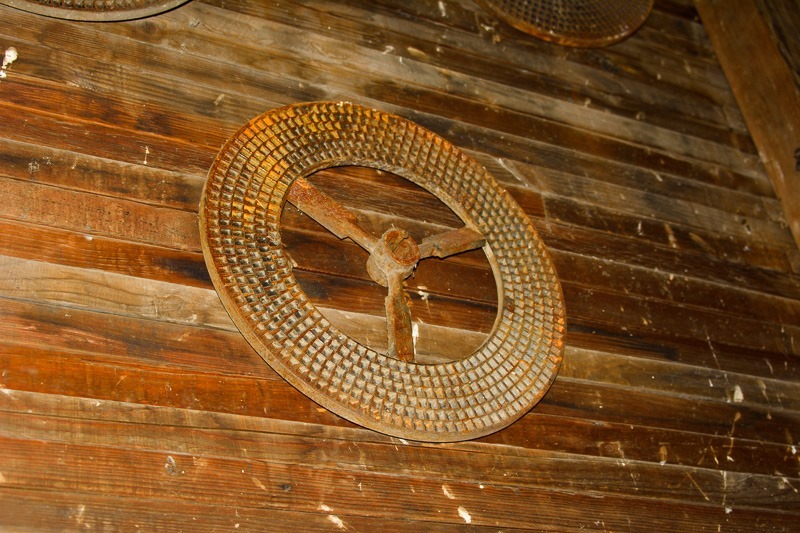 This metal ring with holes for example was used at the top of the building, where the grain came in, to separate the grain from debris and chaff that might have gotten in the same shipment. Rings with holes of different sizes were used to sort different types of grain..
Other buildings were shops, barber shops and a complete railway station. The railway station was dismantled and reassembled here on the premises of the museum. It has a wealth of interesting artefacts inside, way too much for me to shoot in a single day. Even worse, we were there only for one single afternoon as the museum opened around 1pm. 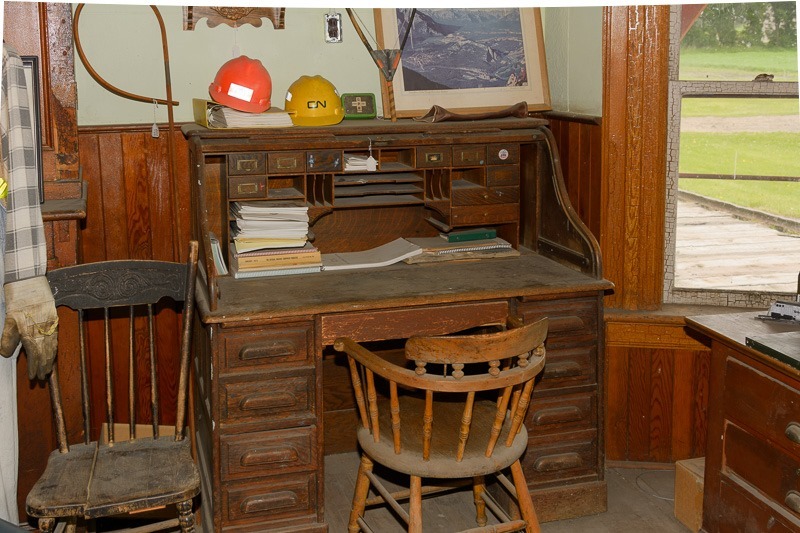 Shown above is the Station Agent’s desk, from where all current affairs were handled. Outside, the rain had just stopped, leaving the terrain pretty muddy and wet. 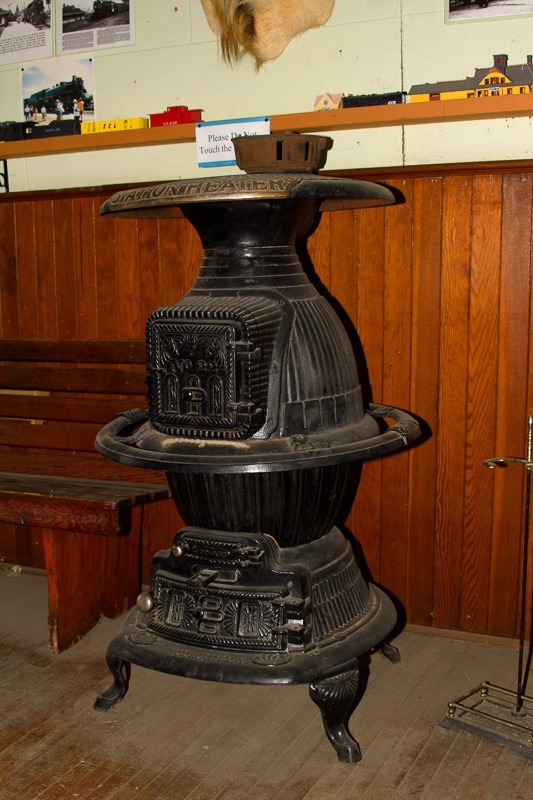 The railway station was a local station here in Manitoba and as such had some serious heating equipment for the harsh winters Manitoba is known to have. I can already feel the heat coming off this stove. Other buildings housed mechanical instruments. 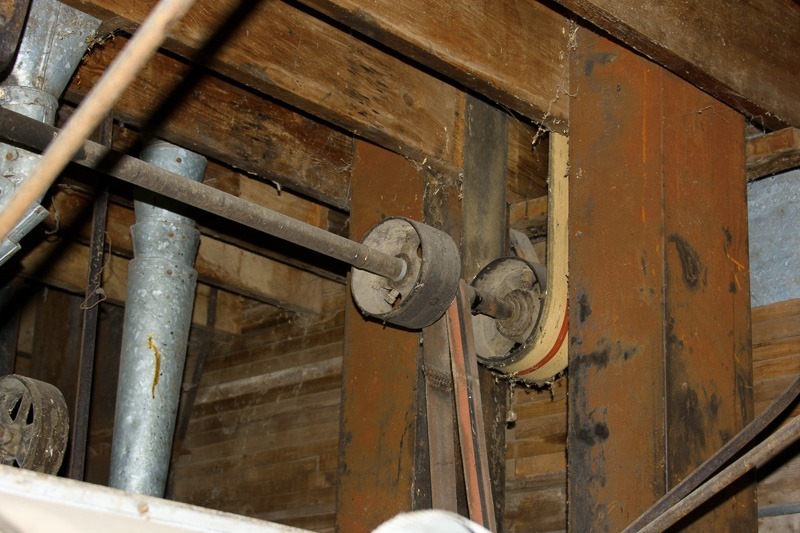 This drive shaft for example was driving the whole building with energy. Anything could be hooked up to it. 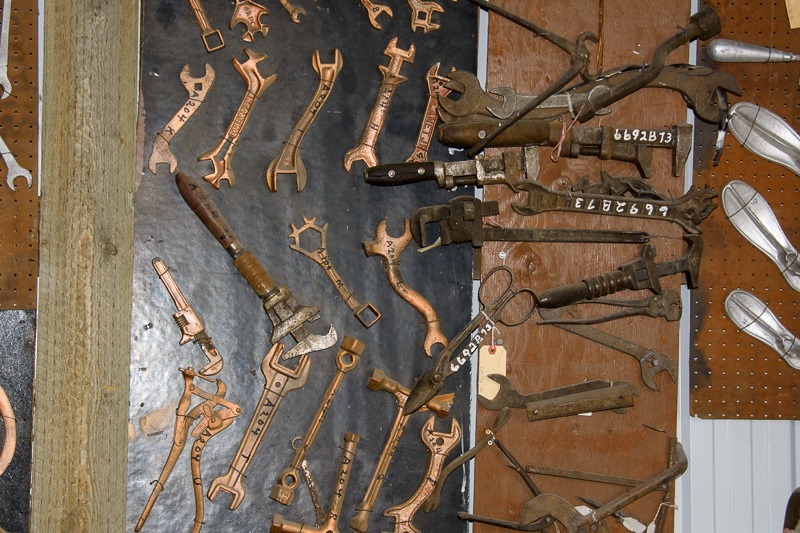 Many instruments were there, still in working order. Safety-wise, I am not convinced that today’s standards will still agree with this. Once or twice a year, the machinery is fired up and visitors are welcome to see and watch how old-day professionals were doing their work back then. Then I came across a shop that had been in function until the late 1960’s. There was so much to see in there that photographing everything would have taken a complete weekend if not more. 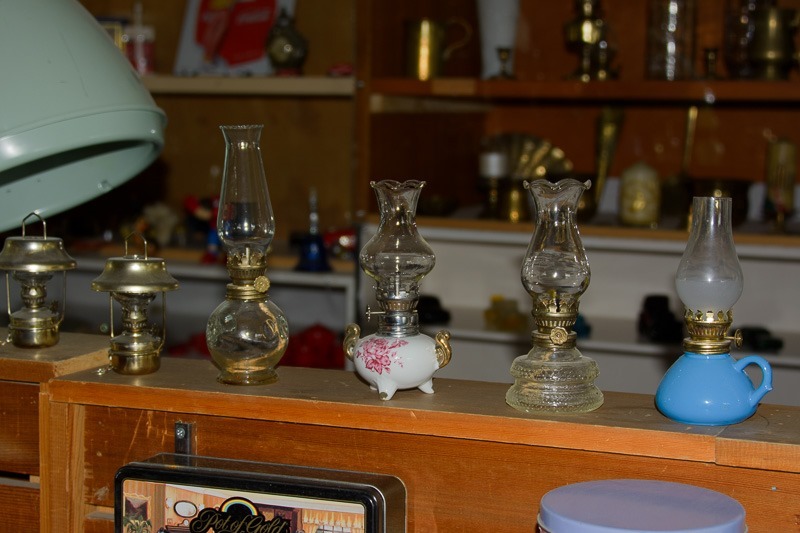 I found this row of small oil lamps nice, as I had something similar when I was a boy. My parents were not overly pleased when I fired it up with kitchen oil ( I believe it was olive or canola oil…). Once everything was delivered or still had to be delivered, trucks were used to haul everything from one place to the other. 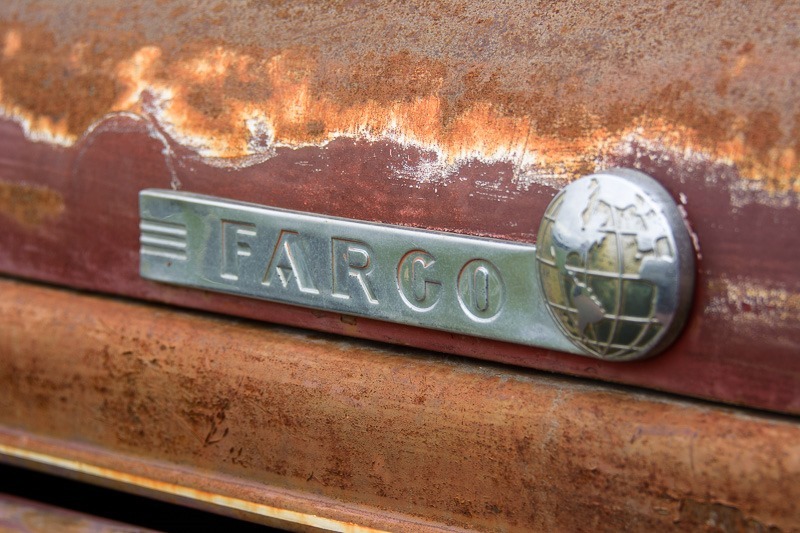 The old Fargo brand, from the city of Fargo in the United States was one of the favourites. I was a little concerned that the quantity of rust one this one would jump over to my camera, so I just took a shot of the brand’s logo. Chrysler and Plymouth were brands that were often sold together as shown in the last picture in this post. Again, there was so much to see and shoot in this museum that a second, and perhaps third, visit will be necessary to get a real overview of what can be found here. If you prefer modern art or shiny technology, this may not be the place for you. But I am sure I will come here again with more time to spend.